A very special cottage sited in a very special location aptly describes this unique offering. Charming Sears & Roebuck kit home delivered in 1954 and assembled onsite. Original features bring you back to a different era. The cottage offers central heat by oil FHA. Additionally there is a generator fueled by propane for the JIC factor. (Just in case) But as Scarlett O'Hara said, ''It is all about the land''. 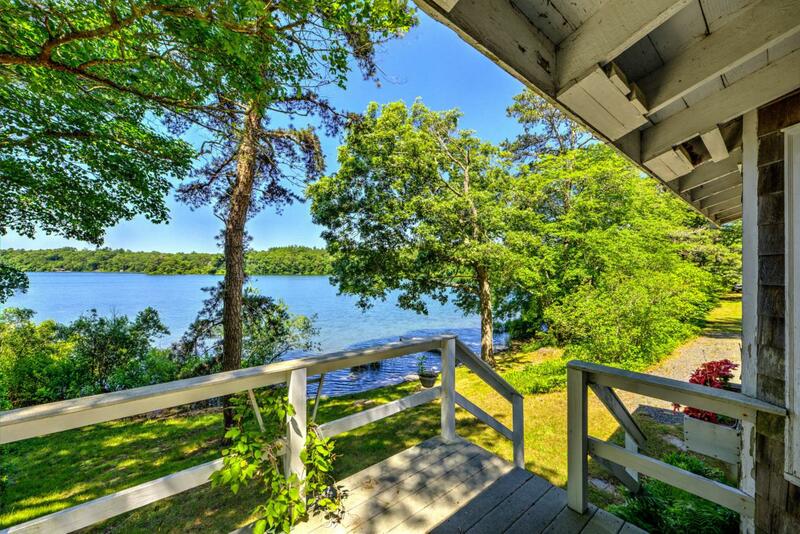 Stunning 1.88 parcel with a gentle slope towards the waters edge on Triangle Pond. Perhaps this is where you will build your ''Tara''. Please note, property has one bedroom on main level with additional BR partitioned off in basement. Town field card shows 2 BR. Buyer or Buyer's agent to verify any and all information.